We’d love your help. 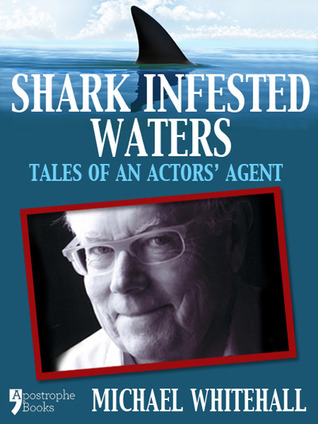 Let us know what’s wrong with this preview of Shark-Infested Waters by Michael Whitehall. Michael Whitehall contrasts the glamorous image of theatrical life with the mundane realities of the business, while passing on some startling trade secrets along the way. A laconic raconteur of refreshingly unstar-struck theatrical anecdotes, Whitehall deftly sketches the social comedy of his eccentric background: growing up in suburban London in the 1950s, his schooldays Michael Whitehall contrasts the glamorous image of theatrical life with the mundane realities of the business, while passing on some startling trade secrets along the way. A laconic raconteur of refreshingly unstar-struck theatrical anecdotes, Whitehall deftly sketches the social comedy of his eccentric background: growing up in suburban London in the 1950s, his schooldays at Ampleforth and his subsequent adventures as a prep schoolmaster – worthy of Evelyn Waugh himself – before becoming an actors’ agent. Shark-Infested Waters is a charming, funny and piquant view of a world that continues to fascinate. To ask other readers questions about Shark-Infested Waters, please sign up. Barely worth a review really. I read this book on the back of "Him and Me" and it was a mistake, whirl the former had a good structure and lots of energy, holding my attention throughout (it even made me lough out loud. An achievement indeed, as I'm not noted for my sense of humour! ), I found this laconic and boring in the extreme. Sadly it was lazily written, with too much name dropping, even for an agent, and many bitchy and unnecessary anecdotes which, for me, makes the writer the lesser person Barely worth a review really. Sadly it was lazily written, with too much name dropping, even for an agent, and many bitchy and unnecessary anecdotes which, for me, makes the writer the lesser person rather than the subject.